The Installation ‘ Balancing a Future’ a site and object specific installation, all objects were found in the space a recently derelict 10 story office block in Off Quay. ‘Balancing a Future’ installation view -wooden platform, plants, surveillance cameras,trolley, tables ,chairs, fan , green screen material, light bulbs. ‘Duchampian tropes carry through to the office world(the obsolescence of it all)’- Trolley,light fitting,plant,cardboard plinth, wheel. Parallax #2 is an exhibition that brings together staff and student work from ASP Katowice in Poland and Chelsea College of Arts. Parallax #2 explores the art school. The project asks questions about what an art school is and what it might become. Parallax acknowledges that an art school’s function is a test site: one that allows for discourse to be enacted through making work, where ideas and approaches, methods and technologies are shared, challenged and developed. 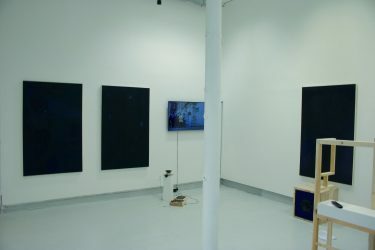 Parallax #2 is the second exhibition of an international exchange between Katowice in Poland and Chelsea. The first exhibition took place in Poland in June–September 2015. Parallax #1marked the completion of the Katowice Fine Art Academy’s new building. The work responded directly to the architecture of the purpose built art school and was installed in the months before the students moved in. The art school building at Chelsea, steeped in history and reimagined over generations of occupants provides a very different context for Parallax #2. 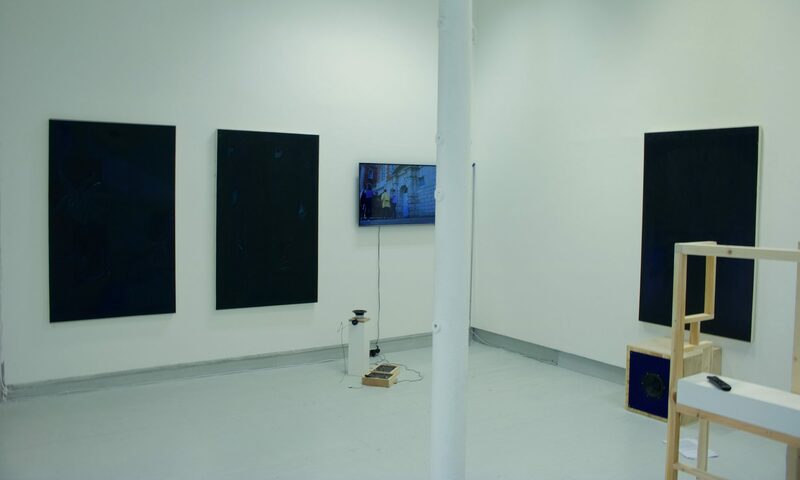 The artworks, made in a range of media including film, photography, text, performance and sculpture provide responses to what an art school may be: as a place, an idea, a community, a set of histories or as an architectural site. Gill Addison, Jo Bruton, Sebastian Buczek, Ben Fitton, Chelsea Salon, John Flindt, Freee, Andrew Hart, Grzegorz Handerek, Katrine Hjelde, Huxin Huang, Robin Jenkins, Aram Khas, Marianne Murray, Martin Newth, Agnieszka Piotrowska, Colin Priest, Secondeditions, Anna Sielska, Martyn Simpson, Leslaw Tetla, Andrzej Tobis, Travel Agency (Pawel Mendrek, Malgorzata Szandala, Ewa Zasada), Chris Wainwright, Paulina Walczak, Adam J B Walker, Polly Wellsby, Ken Wilder, Joanna Zdziennicka.